Circus Camptastic! will teach kids both circus and aerial skills! 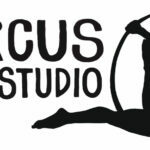 Juggling, Unicycle, Tumbling, Hooping, Stilting, Walking Globe, Tight-wire, Partner Acro, Poi, Silks, Trapeze, and Lyra (Aerial Hoop).